A low consumption of electricity? Combined with a traditional blackboard? 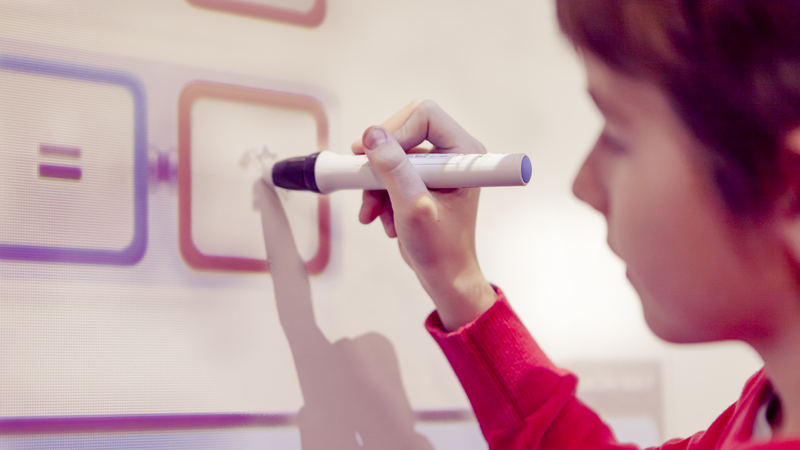 Our schoolings for the use of interactive whiteboards cover every application. Next schooling? Any time! We act in accordance with your requirements. Therefore, Wittler offers a wide spectrum of boards for seminar rooms and school rooms. Due to the individual production, we are able to offer you any size and surface – whether you need a board width of 3 meters or a width of 15 meters! For example, to choose the components that depend on the rooms. Next schooling is possible at any time! Single schooling, group schooling or schooling for a large team - we act in accordance with your requests. Wittler’s board assembling, electronic regulation and installations are only conducted by highly qualified expert. a fast reparation to a maintenance contract. Security check of the different blackboards and whiteboards is regulated by the law. Having a working experience of 40 years, we are able to conduct the requested check-ups and directly correct shortcomings. beheben. You obtain a printout and an inspection plate for the board. a schooling room, or an office – Wittler offers the right equipment for you.